A central claim of prospect theory is that people are not consistently risk averse. Yes, they are much more sensitive to losses than to gains. But they are also risk seeking, both in their attraction to long shots and in their willingness to gamble when faced with a near-certain loss. To complicate things further, we know that people do not have a global view of their assets. They hold separate mental accounts and are much more willing to gamble from some of the accounts than others. To understand an individual’s complex attitude toward risk, we must know both the size of the loss that may destabilize them and the amount they are willing to put into play for a chance to achieve large gains. Basically, we humans are a walking contradiction. We are affected by both loss aversion and overconfidence. We have both a fear of missing out on future gains and a fear of taking part in future losses. And risk tolerance can be tricky to get right for investors. 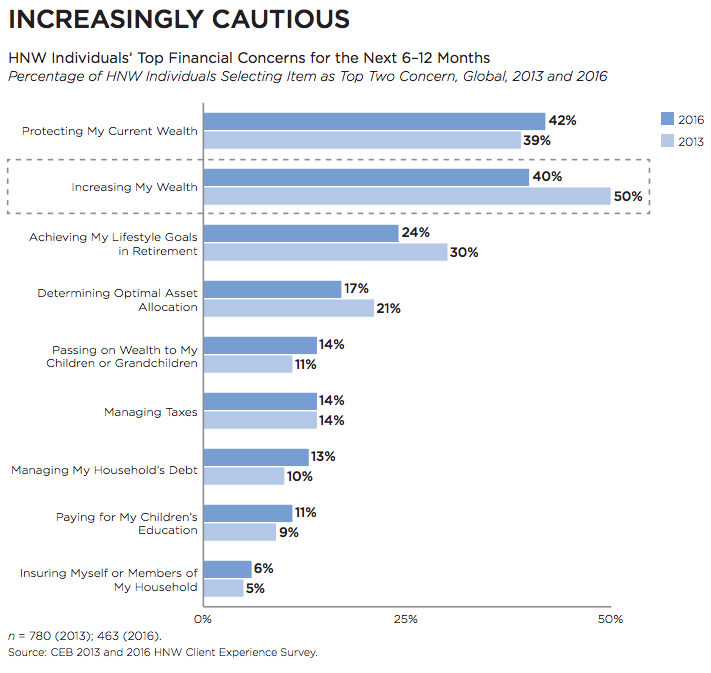 You can see the top two financial concerns are both protecting wealth and increasing wealth. They’re competing worries. It’s a constant tug of war between the opposing forces of trying to grow your capital and trying to preserve it. 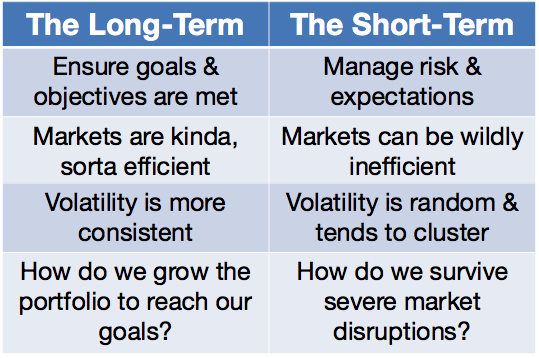 Help them survive severe market disruptions in the short-to-intermediate-term. Help them achieve their long-term goals and desires. Fulfilling these two mandates can be challenging, for both advisors and clients alike. When markets are rising, people don’t worry as much about the preservation of capital. And when markets are falling, people spend all their time worrying about the preservation of capital. Volatility can be a source of opportunity or risk, depending on your reaction to it. Turbulent markets can have a huge impact on performance but it generally fades over time. The question is how do you make it through those tough times? Balancing a client’s appetite for risk with their capacity for risk along with their need to take risk is not always an easy task. The thing is that if you have enough assets to retire on then you’ve really already won the game. You’re better off than a large majority of people out there. So the first rule should always be to do no harm. The next piece of the puzzle here to remember is that while portfolio management is important, this is really more of a behavioral issue than anything. 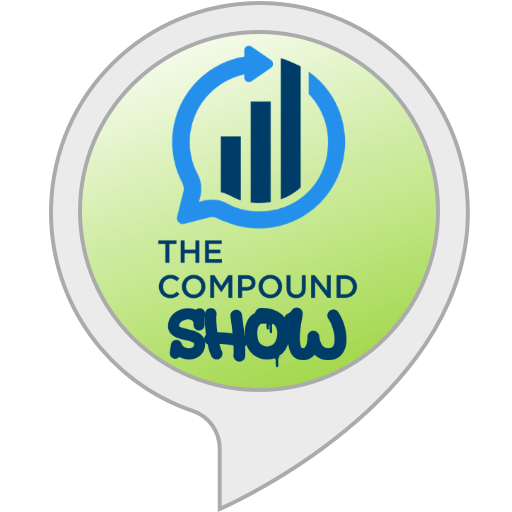 Kahneman has also said that, “the long-term is not where life is lived.” The best advisors understand that long-term returns are the only ones that matter, but their clients will never see those returns if they can’t create (and implement) a plan that ensures they can make it through the time it takes to get there. It’s not enough to preach about the benefits of a long-term mindset. Anyone can do that. It’s about proactively helping people get to the long-term that counts. 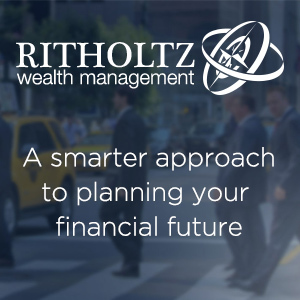 Learn more about Ritholtz Wealth Management here. 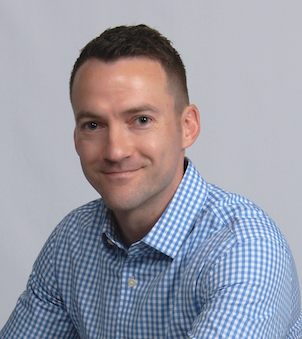 Something I might specifically set forth in your planning list is helping clients to understand what a sustainable draw down on their assets might look like. Too often, clients assume they will be able to spend far more than their portfolios can reasonably generate over the long run. They assume their portfolios can magically produce earnings that will offset excessive spending and blame their portfolio managers when failure occurs. 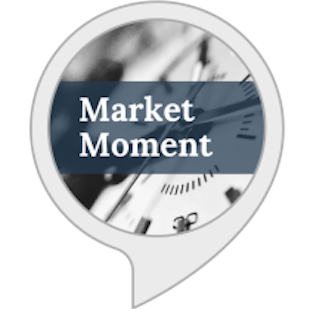 This is especially important in terms of retirement income, when time horizons are diminished and it becomes ever more difficult to “earn back” losses.